About The Pilates Absession : The Pilates ABsession – Long Island's full service independent Pilates studio, servicing Nassau County and Rockville Centre. Welcome to The PILATES ABSESSION! We are a full service, independent Pilates studio. Our 1400 square foot space is equipped with 5 Reformers, 4 Towers, 1 Cadillac, 2 Chairs, 6 MVe Fitness Chairs, 6, Cassal Wobble Boards, 5 Jumpboards, 5 BOSUs, 5 TRX, 2 Ballet Barres, and a plethora of small props. Our state of the art equipment is manufactured by the leaders in the industry, Stott and Peak. These different types of apparatus will develop your strength as well as your flexibility. Additionally, we have two private bathrooms and a changing area for your convenience. Karen has been involved in fitness her whole life. She became quite serious about it when she studied karate, achieving the highest level brown belt when she was six months pregnant with her first child. She discovered Pilates after the birth of her second child and found it to be ideal because of its emphasis on core strengthening and realignment. Karen continued practicing Pilates until the day her third child was born and resumed her practice within six weeks following the birth. She finds it to be one of the most efficient methods of exercise because it simultaneously encompasses strength, balance, flexibility and coordination. Karen holds degrees in both Psychology and Elementary Education as well as a Masters in Early Childhood Education from Hofstra. She went from teaching students in Rockville Centre’s Hewitt Elementary school to teaching some of their parents! With the support of her family, Karen pursued the professional study of Pilates at The Pilates Academy International in Manhattan with the goal of opening her own studio. 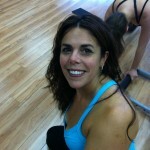 She is certified in Mat, Reformer, Cadillac, Tower and Cardiolates. She holds training certificates in BOSU, Stability Ball and Pilates during Pregnancy. In addition, she has a special interest and is continuing training in Pilates for athletes. To date, she has trained a member of the NHL, Track and Field athletes, a US Open Competitor, a pre-teen from the NYC Ballet, countless endeavoring ballerinas and two 9 year old aspiring NFL players! Karen hopes to provide the community with an unparalleled facility where clients can achieve a full body awareness which will be useful in all aspects of their lives. Watch out for her infamous Bootylicious class! After finding her passion for fitness Michele became interested in Pilates as an addition to her vigorous workout routine. Pilates seemed to be the answer she was looking for when searching for the right mind-body exercise to add to her health and fitness regimen. She felt it was restorative, yet matched her on-the-go personality. She knew she wanted a career in Pilates after visiting Pilates on Fifth, a penthouse studio in Manhattan that was an energetic, yet soothing environment that had a strong impact on her. Michele’s belief in the benefits of Pilates lead her to become fully certified at the renowned Pilates Academy International in NYC. She is certified in Mat, Reformer, Cadillac and Tower, Chair and Barrels, in addition to holding certificates in Breast Cancer Rehabilitation, Stability Ball and Bosu training. 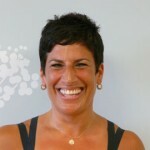 In 2008 Michele gave up her Real Estate Appraisal business that she had owned and operated since 1992 to open The Pilates Absession with her long time friend and workout partner, Karen Riccio. .
Michele later returned to Pilates Acadeny International to further her studies in Pilates and became a Certifying Instructor. 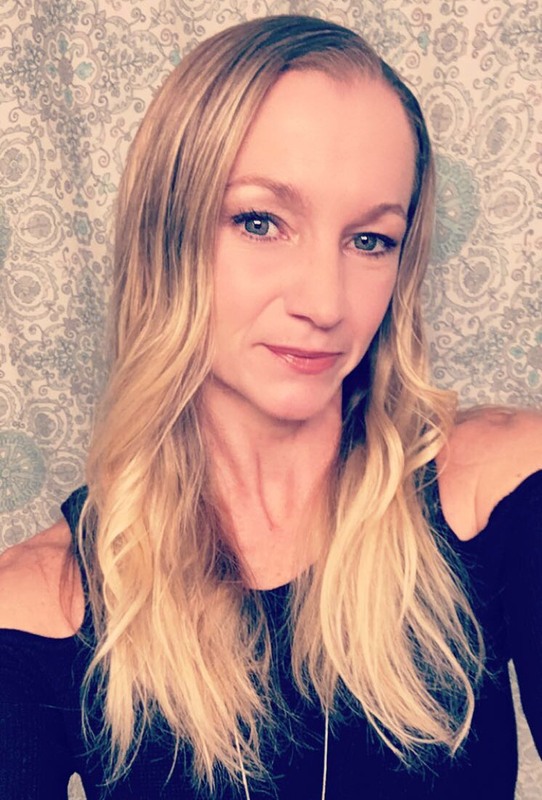 She is thrilled that she may now give others the opportunity to follow their passion for fitness and study to become instructors themselves or give Pilates enthusiasts the opportunity to take their personal training to a higher level . The Pilates Absessiom has become a Pilates Academy International satellite facility, bringing all the benefits of training with the world renowned P.A.I. training program of NYC to Long Island! Melissa tried many different workouts after having her four children. When The Pilates Absession opened in 2007, Melissa became one of its first customers. Pilates was unlike any other workout she had tried, and she loved the personalized environment of a private studio. After three years of taking classes and private training sessions, she decided to train at Pilates on Fifth in Manhattan, as many of the instructors at The Pilates Absession have done. Now, with her experience as both a client and an instructor, she is able to tailor all her clients’ workouts to help them achieve their individual goals. She guarantees that each of her clients will become as ABsessed with Pilates as she has! Donatella is a Connecticut native but will always call Colorado home, where she spent much of her adult life. She recently relocated to Rockville Centre to be with the love of her life and impact wellness here on the Island. Donatella studied at Western New England University where she obtained a B.S. in Molecular Biology. 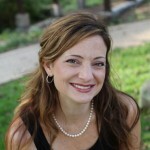 She is a Licensed Massage Therapist and a Health and Fitness Coach. Her barre experience started 3 years ago in Boulder, Colorado when a studio opened next to her practice. Barre immediately resonated with Donatella due to her belief in fitness based on proper orthopedic movement, aligning itself with her philosophy as a body worker. Her enthusiasm to share her knowledge of anatomy and the body is a tremendous benefit to her students’ practice. Outside of her professional life, Donatella is an avid shih-tzu lover and a runner, having just completed her second marathon last June in Steamboat Springs, Colorado. She is currently training for her third marathon, the NYC marathon, in hopes to qualify for Boston. Jane became interested in fitness in her teens and has stayed active since then. 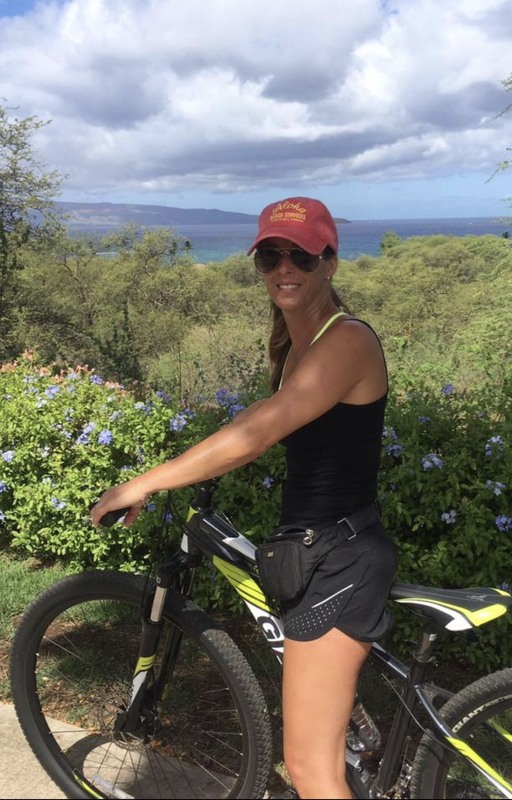 She has three children and believes that she was able to recover quickly after each birth because she stayed active throughout her pregnancies. She has practiced many forms of fitness from weight lifting to yoga. When she found Pilates, she felt like she found home because it combined many of the things she loved into one; a full body strength and flexibility regimen with a side of positive energy. It was then that she finally decided to follow her dream to teach the things she loved to do so much. She currently holds certifications in Mat Pilates, Barre, PiYo & Reiki. She has been studying at The Pilates Absession through The Pilates Academy International for her Reformer Certification and will hold her Group Fitness Instructor certification soon, as well. In addition to her love of fitness and her family, she also believes that volunteering contributes to good health. She and her family have cultivated five service dogs for handicapped individuals. One day she would like to combine her love for Pilates and service and volunteer some of her time teaching. Jen’s love for working out started at the young age of 5. She was involved in competitive gymnastics and coaching for 19 years. Her passion for fitness stayed with her throughout her life. She believes: once an athlete always an athlete! Her love for perfect form and body mechanics stems from her many years in the as a competitor and coach. To add to Jen’s credentials, she is also a Cat Scan Technologist at Sloan Kettering. She combines her love of helping people and passion for well being with others. Jen has been a group fitness instructor at Sportset since 2015, teaching multiple genres of classes from boot camp to sculpting to circuit and kickboxing. Join her at The Pilates Absession for her Circuit class to develop your strength and form! Having been an athlete and into fitness since she was a young girl, Jen became tired of the redundant work involved in health club fitness training. After having three children, Jen tried Pilates and found it very challenging and unlike any training she had done before. Through her Pilates training, she discovered imbalances in her body, tightness in her muscles and changes she needed to make in her posture. She was intrigued as these corrections to her posture added greatly to the quality of her workouts, and Jen was then motivated to become a Pilates instructor. 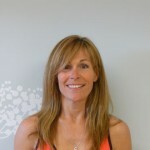 She was certified through Pilates on Fifth in Manhattan in April of 2009 and has been teaching Pilates ever since. Caitlin has spent her entire life involved in fitness and wellness. 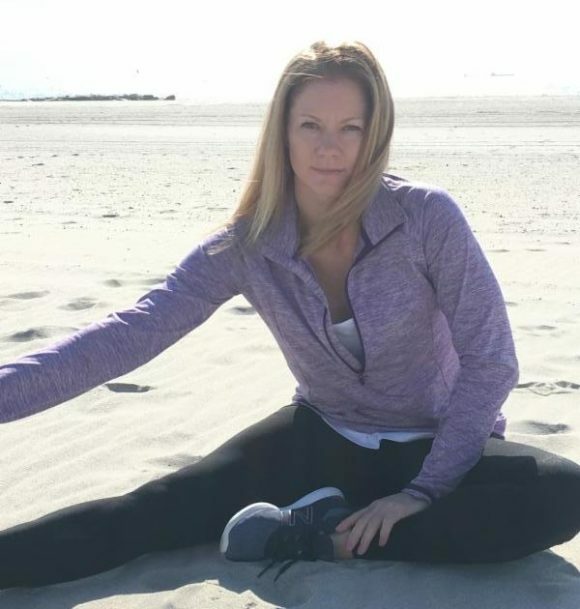 She was an avid dancer and gymnast at a very early age and continued playing sports until she settled on field hockey, which she played through college. Having suffered multiple sports injuries, including six lower leg injuries, she has learned to efficiently modify exercises for her clients. Caitlin previously worked in federal law enforcement as a United States Federal Air Marshal. She decided to became a Pilates instructor after suffering a career ending injury. She believes that no matter what injuries or setbacks occur in life, Pilates delivers a great low impact, mood-boosting and fun way to stay healthy and strong. When’s she’s not training, you can find her watching sports or adding to the 4 million miles she’s already flown around the world.